Back in October I had a dedicated fan who was getting into the game, and he went wild on creating posses using The Saloon online designer. He authored each one as “Doom Eagle” and has commented here a few times. So in case you aren’t religiously checking The Saloon (you’re not?!) I thought I’d take a moment to link them and share some thoughts. It’s kind of fun trying to read into the story or theme behind each posse. All the posses use the current version 2.6 of the rules. I get a Warhammer 40,000 vibe from some of these names and ideas, but that’s not surprising as a ton of people played the “big one” before branching out into other wargames (just as I did). I definitely appreciate this kind of enthusiasm for my game! Red Sisters – A band of roving Savages, like a cliche tribe with bow and arrows, spears, knives, etc. The Great King – My kind of themed posse. Built around a T-Rex “King” dinosaur, with two aptly named Savages to rush in and support with swords. Military Patrol – Another posse that seems like something I’d design, themed around a Neotechnoist military patrol outside the wall. Backed by their Triceratops the Korporal and two soldiers have only basic weaponry, but are all terrific shots (RTN 6). 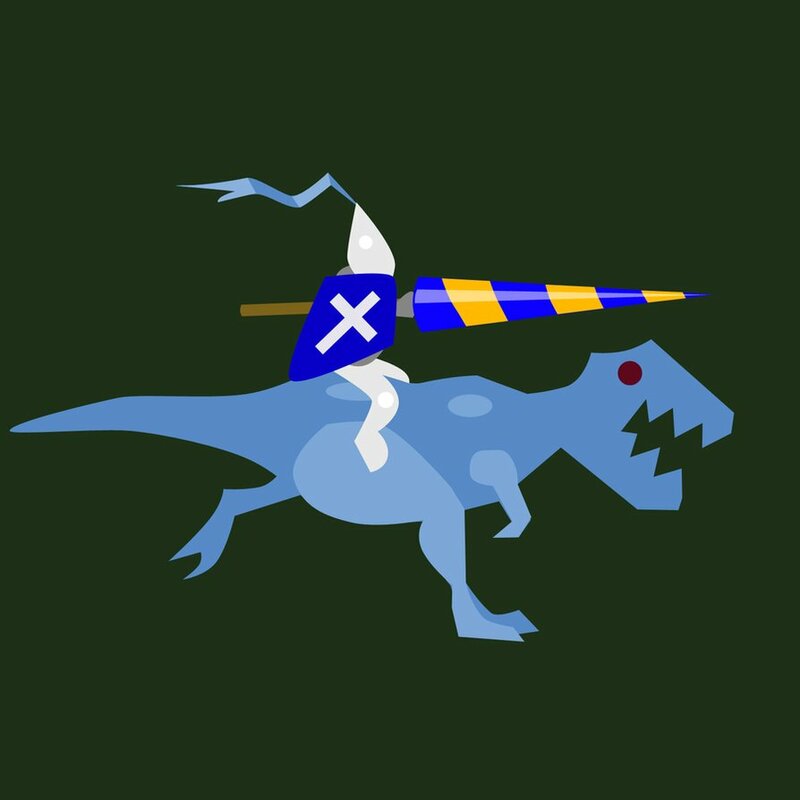 ADG Troop – Similar theme to the above posse, but with a less expensive Fin dinosaur. All the extra funds went into weapons it seems, with a pair of 200kW Lever-Action Rifles putting that good RTN to use. Sand Snakes – Bandit gang, probably raiders of some sort. The whole crew can mount the Terror dinosaur and rush in to put their deadly weapons to use. Nice to see the new Lasher melee weapon put to use. Archer Trade Inc – Beefy Defenses on a pair of Bandits sporting dual Lever-Action Rifles. I like the addition of a Fiddle for morale and Energy Sword for pain. Little Brick Town – Small town posse with a Mayor and Sheriff, perfect for an “NPC” type posse who live in a forgotten, dusty village. I like the Mayor having a Cane weapon, one member has Doctor (probably vastly untrained for the work he’s forced to do), and ol’ Pater Orvill with his Broken Bottle. Warjacks – Good posse to demonstrate the flexibility of Dinosaur Cowboys and how you can clearly achieve a theme. Here the posse is designed around Warjacks from the Privateer Press game Warmachine / Hordes. Imagine this guy with a Sledgehammer and Ranch Blaster to match the model. Then we have a pure melee monster with a Staff, and finally the glorious Flamethrower / Scythe combo. All quite beefy, and all quite strong. Watermill – Another posse with a small town vibe, maybe modeled after The Ballad of Cable Hogue. There is a well armed and skilled Savage with the crew who knows how to handle a Biosteel Knife. Maybe she helped defend the town at one point as was taken in? Moonwalkers – Tribal/shaman theme of Savages lead by Tala Moonwhisper. To me though the fourth member Songan the Werewolf is well made as she uses Punch and has the Boxer trait, so she’s clearly meant to be a lycanthrope. Nice to see some genre mixing with a more “weird west” feel. Night Breed – Similar approach to the above posse of “weird west”, as Xorag is clearly an alien come to earth to hunt dinosaurs. The Big Game Hunter trait is a perfect match, and a Blasterbow combined with Winterfrost Grenades feels sci-fi as heck. Ruffnecks – “I’m from Bueno Aires and I say kill ’em all!” Oh…maybe not those Ruffnecks? Los Locos – A gang of banditos with a classic west mix of pistol, shotgun, and rifle. I can just imagine this rowdy crew rolling into a saloon and blasting the place apart. Rusty Rovers – Let’s be honest we’re dealing with a Grenade Launcher in a $1,000 posse…I like it. Some serious heavy hitters in this small, but well armed posse. A Plated dinosaur just fits due to it’s extreme toughness. Alien Breed – Another “weird west” posse, and going with the Warhammer 40,000 visualization I could see these guys as Kroot. If they have ranged weapons I could also go with a Predator vibe. The dual wielding leads me to believe the Variant Rule “Dual Wield” was meant to be used, since a few members have two knives. Also “Alien Crusher” with the stats of a Thickskull dinosaur sounds cool. Stormcasts – Taking a Sledgehammer to the face (when Attack – Puncture is used) is only mildly less intimidating than constant Laserbow fire. Ravenclaws – I really feel like this posse is a reference to something, it’s just something I’m out of touch with (maybe anime?). I do like the combo of a Horned Triceratops that can Push 3″ with Attack – Forceful…especially if he chooses to combine it with a Beast attack like Trample for a total of 7″ Push, haha. Redwater – A nice mix of two bandits and a sniper Neotechnoist (a style I often use). The new Tirador Rifle makes an appearance…tip on naming anything, just use a different language and it sounds cool. In this case Tirador means Rifle in Spanish, so yes, it’s a Rifle Rifle. That’s how you know it’s really good at shooting things. 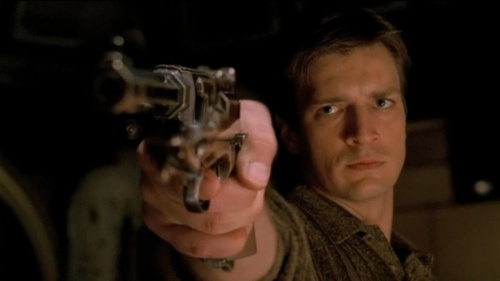 First of all can we just take a collective break and realize Firefly came out over 10 years ago? That is INSANE. It feels like yesterday. Anyway for fun I thought I’d create a Posse based on some of the characters from Firefly. The end result is a 202 IP, $1,935 gang with plenty of thematic weapons and Traits: Crew-of-the-Serenity.pdf Roster. I had a couple of tough questions when it came to Captain Mal, mainly “what should his main gun be?”. Looking at Internet Movie Firearm Database told me the base is a Taurus Model 85, which actually shoots a pretty small bullet. In the show the gun sometimes has laser-y sounds. So I went for how it looks in the show, not how it’d function in the real world, and gave him a Handcannon. He also seems like the type of guy to carry a knife in his boot, so I added a Hunting Knife as well. For stats I figured he’s fairly tough and a fairly good shot, so 6 RTN, 12 HP, okay Speed, and a suit of Cloth Armor should work. With Traits I chose “Underdog Shot” pretty much for the name, since in the majority of their encounters the crew is outnumbered, or outgunned. Even against the Alliance in general they are in a rough spot. And then I gave him “Sniper Shot”, primarily motivated by the Serenity movie scene where he shoots the moving harpoon rope binding Jayne’s leg in place. Generally I find Zoe’s character to be a little annoying and one dimensional, but she’s an important part of the crew none the less so I included her. She was also a Duster allegiance since she seems pretty cowboy-esque, fought for the Independence (I always want to say “Rebels”), and could get away wearing a full length jacket. In terms of weapons I had her “Mare’s Leg” short rifle be a 500kW Lever-Action rifle. She doesn’t hugely use it at long range, but unfortunately the weapons list doesn’t really include sawed off rifles :) She’s carried a pistol in various episodes as well, and since it wasn’t a traditional revolver I went for a Light Pistol instead of a Six-Shooter. 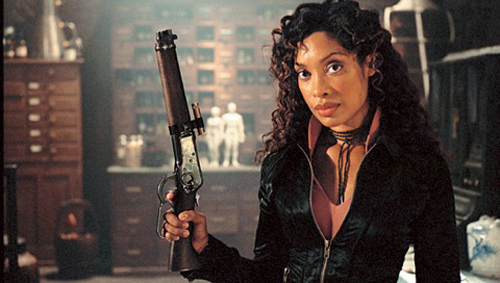 The very first episode of Firefly had Zoe getting shot in the chest during a deal gone sour, and she was wearing some kind of fancy sci-fi chainmail stuff. Since that isn’t exactly an armor option, I went for the next best thing which was Quilted Armor. In terms of stats she is similar to Mal. Slightly worse shot, slightly fewer HP, but slightly better Bravery than the average person. I figured the knock in stats would make sense since she’s the second in command. For Traits I figured a motivational “Get Up!” works perfectly, as she tends to keep everyone fighting in rough situations. Weapons for Jayne was basically trying to narrow down what he WOULDN’T have. For one thing, grenades (“Sure would be nice to have some GRENADES right about now!”). Beyond that, anything could work. He uses a sniper rifle early on. He uses pistols, knives, and various rifles. The most identifiable is “Vera” (so iconic it was made into a Guild Wars weapon, for example), which is pictured to the right. Obviously the weapon is rapid firing and rugged, so a Heavy Repeater was a natural fit. I filled out his repertoire with a Scattergun and two Light Pistols. His allegiance would be Bandit since he’s basically a jack-of-all-trades mercenary. For stats I figured out a good way to represent his toughness, and that is having an innate +1 Defense WITHOUT wearing armor. Otherwise he has similar Hitpoints to Mal, since at the end of the day they seem about equal for the amount of punishment they could take. He’s also a good shot, but would tend to run from a fight depending on the odds, how he’s getting paid, etc. so I went with a worse 8 BTN. The Trait “Back Shot” jumped out right away as something Jayne would do in combat, so that was a natural fit. I’m really pleased so far with how easy the rules translate to various pop culture characters. Ah the good Doctor. He should be an easy setup! 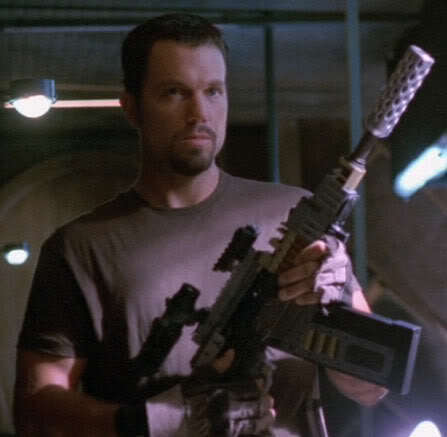 I think he’s only used a gun once or twice in the show, and one of them was a stun type weapon when they were escaping the hospital. So “Stun Gun” it is. Also sort of fits with his non-combat and non-lethal personality. 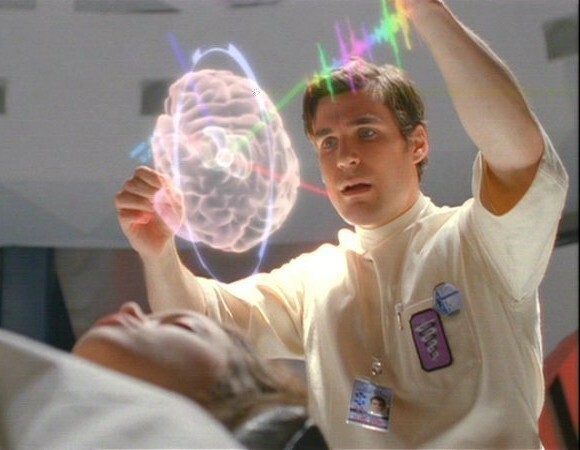 Allegiance is Neotechnoist, since obviously he’s a core worlds, high-tech kind of guy. The wimpy Hitpoints worked well too in this regard. I bumped up his RTN a tiny bit to 7, worsened his Bravery a bit, and otherwise left his stats pretty much base. There can be only one Trait for Simon, and that’s “Doctor”. To utilize this ability I gave him a TON of Medical Devices. 2 Large IRPs, 1 Lifesaving IRP, 1 Salve and Bandage, 1 Defibrillator, and a Doctor’s Bag. In the show (off the ship) he only really uses a Doctor’s Bag, but I figured a lot of other devices would would represent the tools he does have access to. River Tam is a rather important storyline character, but she’s also hard to model in this game. There aren’t exactly Psionic rules so her main strength goes out the window. So instead I went for “movie River” from Serenity, where she finally controls and uses her martial combat abilities. In this case with a gory axe and machete looking thing (which I represented as an Axe and Cutlass). Besides that I don’t think she’s carried a weapon. Because of her unbalanced disposition Savage seemed like the best allegiance. For Traits “Berserker” seemed to make the most sense, since she tends to go a little wild every now and then. Pretty much basic stats, except a very good 6 BTN since I don’t think she’d really run from a fight or scary situation. She’s fast too with 6 Speed, but somewhat frail with 8 Hitpoints. Technically I could have given her +1 base Defense to represent her agility, but decided against it. So there you have it, a pretty thematic posse built from popular characters from a popular TV show. I think the rules did a good job of representing everyone. Too bad there isn’t a dinosaur that could map across to a spaceship, or I would have included that in the posse. When I was paging through the rulebook before the v2.0 release I remembered I had put the maximum base Hitpoints at 40. I immediately wondered what a Posse dedicated to reaching that cap would look like. Pretty interesting idea right? Well the result is the Snake River Cavalry (Saloon link) (PDF link). I went for the theme of a roving, slightly mad Knight (everyone who wanders around the future seems to be a bit crazy). A knight certainly doesn’t fit the general Dinosaur Cowboys theme, but it’s still fun, haha. Anyway I hired two very basic Members who have given up every single stat they can with Voluntary Weakness to provide as much IP as they can to the Leader. The Leader himself started as a Duster who got max Hitpoints (40) through huge IP expenditure. Then he greedily took three Passive traits to reach Bonus HP III for a total of 49 Hitpoints! Pretty wild. I wanted him to be survivable instead of just a bullet sponge, so with the left over IP he has +1 DEF and enough for a suit of Dinohide Armor for a total of +4 DEF. But just having a hard target wasn’t enough, the Knight needed to be able to hit back. Although a Shudder Lance would have been quite thematic, and I might do a variant build with that, I settled instead of the classic Heavy Repeater and a Machete (should have been a Short Sword). Throw on a pair of Large IRPs for easy HP recovery and he’s quite deadly. Then of course his mount, a Runner of the Plains Breed. Pretty flimsy but super fast, so the Knight should be able to reposition once at least. DEF 4, RTN 6, CTN 8, BTN 7, SPD 4, HP 49, Bonus HP, Bonus HP II, Bonus HP III. Heavy Repeater, Machete, Dinohide Armor, Large IRP, Large IRP. DEF 0, RTN 8, CTN 8, BTN 12, SPD 1, HP 1. DEF 0, DIS 4, CTN 9, PANIC D10, SPD 11, HP 11. And who would have thought but “knight on dinosaur” is actually a pretty popular image search term! The image above is from keithburgun. Now I’m rather tempted to pit this wacky build against a normal posse and see who wins. I wonder if lucky hits would slowly whittle the Knight down, and if he could do enough reliable damage with RTN 6 to kill all the enemies. I feel like an enemy posse that had a massive dinosaur to bog the Knight down would help quite a bit. DEF 4, RTN 8, CTN 6, BTN 7, SPD 4, HP 49, Bonus HP, Bonus HP II, Bonus HP III. Plasma Lance, 300kW Six-Shooter, Dinohide Armor. 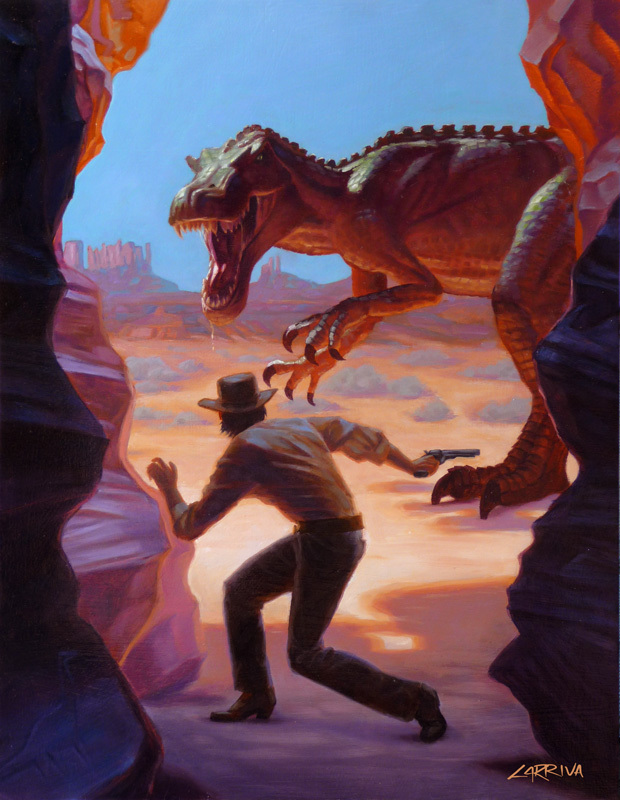 This post is meant to introduce potential playtesters to the skirmish game of Dinosaur Cowboys, and to lower the barrier to play by providing some easy support material. These files are based around the latest version of the rulebook, as compared to the copy available from the “Download Rulebook” link on this site. First of all, is this game going to interest you? If the mention of dinosaurs, futuristic cowboys, lasers, twelve sided dice, 28mm miniatures combat, and competing posses doesn’t strike your fancy, this game might not your kind of genre. 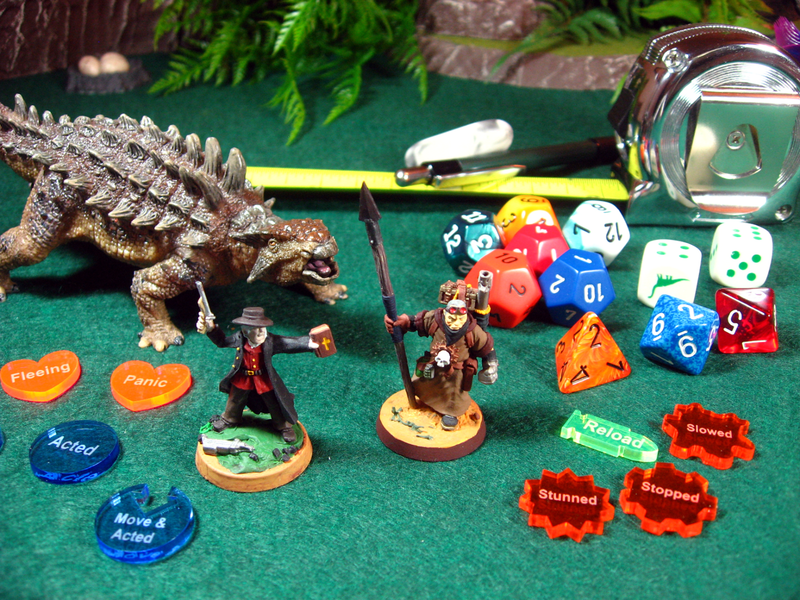 Dinosaur Cowboys uses miniature figurines like those from Games Workshop, Reaper Miniatures, Spartan Games, Privateer Press, or numerous other providers. 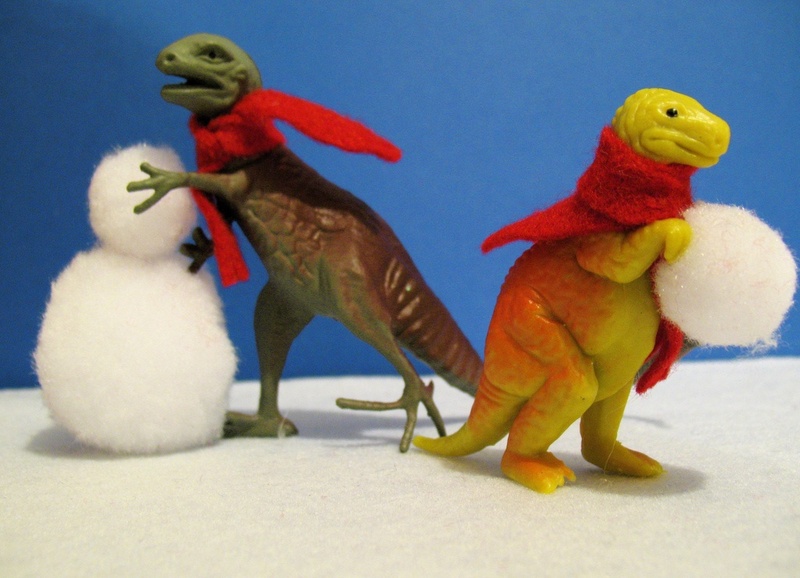 Each player will build (or choose) a “Posse”, which is a gang of 2-5 humans and up to 1 dinosaur. The general structure and play will be familiar to anyone who has tabletop wargame experience. Once both players have a Posse they will set up a table to play on. Generally this is filled with model terrain (styrofoam hills, fake trees, etc.). 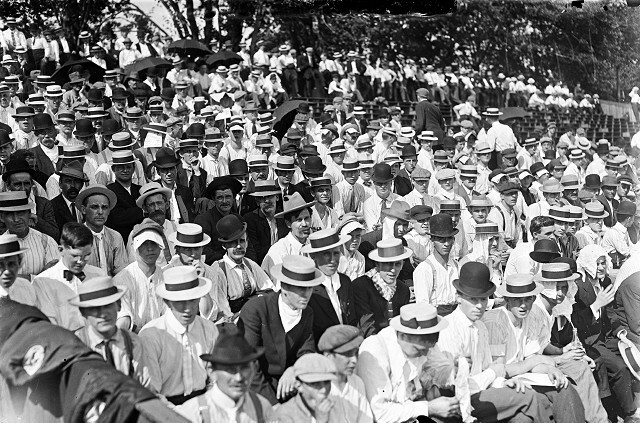 The players decide how to deploy their Posse by using the guidelines in the rulebook. They can also choose an objective for the game. Then the game starts. Each turn players will roll Initiative to see who can activate first. However activation is done on a per-model basis, instead of an entire Posse acting before the opponent can do anything. So playing the game is involved and there isn’t much downtime between getting to do something on the table. When activating a model they can move and perform an action with it (in either order). Generally the action would be shooting or attacking in melee. All combat is done using twelve sided dice (D12s) and the statistics of the units. There are many examples in the rulebook to help understand how everything fits together. An idea of how the game looks when it’s being played is below. 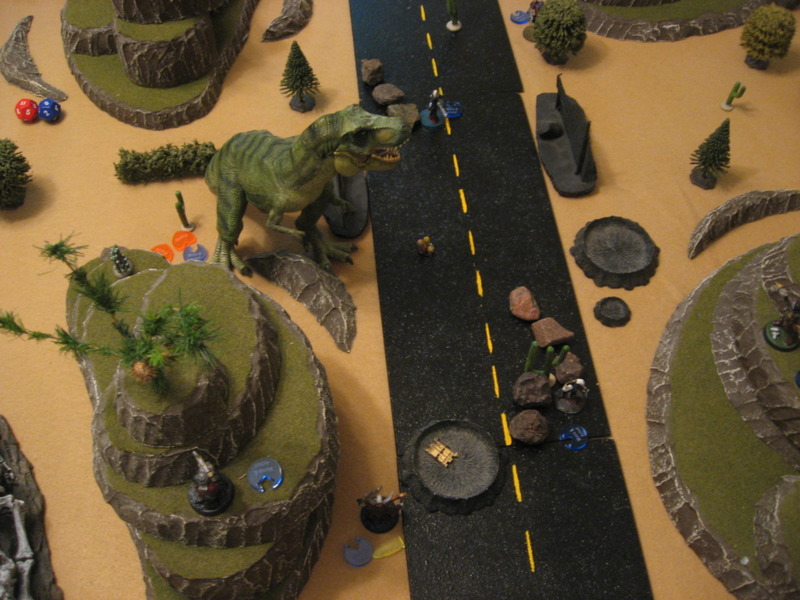 You can see terrain, various miniature figurines, a dinosaur, some dice, some tokens, etc. This was an actual game in progress, not a staged shot. Click for the full size. A first game usually takes 60-90 minutes to play. Subsequent games where you are more familiar with the rules can take from 30-60 minutes. The files above. There is a single rulebook PDF that has everything you need to play the game. If you want to avoid printing the document you can just view it on a laptop while you play. Some posse rosters. The easiest approach is to choose from the provided examples above. Alternatively players can build their own posses (recruit members, upgrade them, equip them, etc.). To expedite this process you can use The Saloon online posse builder (with PDF export capabilities to easily print your creation). Miniature figurines, generally 28mm scale. I use a variety of miniature brands. Something to represent a dinosaur might also be necessary, depending on the Posse. I use inexpensive plastic toys (of the Papo brand). A table with some kind of terrain on it, normally 4 feet by 3 feet. Smaller tables favor melee while larger tables favor ranged. Twelve sided dice (D12s), a couple six sided dice (D6s). With certain dinosaurs a D4, D8, and D10 may be necessary, but you can get around this by rerolling a D6/D12 until the proper range comes up. Both positive and negative feedback is much appreciated and can be done as a comment on this post or by emailing me at dinosaur.cowboys@gmail.com. I’m generally looking for people to read the rulebook for clarity, grammar, etc. You obviously don’t even need to play the game to do this. Really any additional eyes on the rulebook would be much appreciated! As for playtesting, actually running through a game (alone or with a friend) would be extremely beneficial and interesting to me. If you could jot down notes of issues or confusion that came up during play that’d be even better. So far the posses you’ve seen are built in a fairly standard, natural way. They have a reasonable story behind them, a good variety of weapons and roles and mix of dinosaurs. But what about if we threw all that to the wind and tried to built super extreme posses that stretch every rule and are so drastically different from the norm? 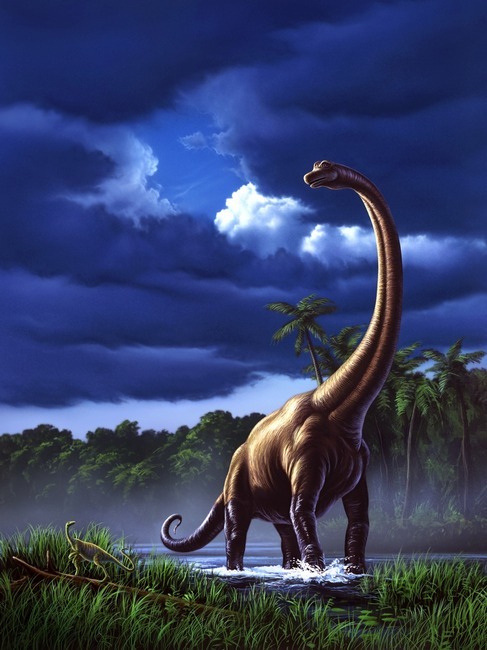 The Longneck (MV 5, PMV D6, AR 2, MMC 5, DIS 10, HP 37, 10A-1D) is considered the king of the herbivores. Heck anything that can grab vegetation nine meters off the ground is deserving of that title in my opinion. But in Dinosaur Cowboys it’s normally considered a later game purchase, considering it costs $1,000 and a standard posse begins with exactly that much money. But with the Leader and first member being free to recruit, a posse could technically have two humans with no weapons and a Longneck. Crazy? Maybe. But it’s exactly what The Herd Mothers do. With plenty of IP to go around each member could be improved to a fairly solid point, with 12 HP a piece, 1 AR, and MV 6. They’ll be focusing on Brawl attacks (Punch, Kick, Shove, Trip), which won’t do a ton of damage but could disrupt enemy forces. For example each member could Trip an enemy to apply Stopped, so then the slightly slower Longneck could get into combat and stomp them into the dirt. Or perform a Shove and use the 2″ Knockback to send enemies into combat. Another feature to remember is that every human gets a Rope Lasso for free, so someone could mount the Longneck and use the 1-6″ range to apply Stopped to a nearby enemy just in time for the Longneck to barrel into combat. The Leader could be the rider and use his “Get Up!” trait to heal the Longneck when the going gets rough. Anyways the alternative build is to have a Titan in a $1,000 ND / 100 IP posse. Pretty much the same idea but slightly different traits, and of course, the best carnivore instead of the best herbivore. I call them The Pack Fathers. The next posse takes the idea of extremely well trained and well armed members to the extreme. Instead of settling for a few good guns and statistics, this posse dumps all the IP and ND into two members, with the third (mandatory to meet Posse composition minimums) basically being dead weight. I made the two “super soldiers” as Neotechnoists, as I could see them being from a dark sect inside The Wall that experiment heavily with human improvement, drug stimulants, etc. Perhaps they have even skewed their views into worshiping dinosaurs, and tried to alter their appearance to match with drastic implants and body modifications. Their third member, a Savage weakling, could represent a sacrifice they keep for the dinosaurs. Anyways I call this posse the Supersoldier Legion, and here’s a quick glance at their basic statistics: MV 5, AR 4, RMC 6, MMC 8, BRV 7, HP 15. The best part of that statline (besides the ridiculously high HP) is the 4 AR, thanks to expensive $300 Mesh Armor. That should hopefully give each super soldier terrific survivability, as we’ve seen with the Armored dinosaur in the past. They are wielding a Light Repeater and Heavy Pistol, which are both good weapons in their own right. Oh and of course The Sacrifice (the low stat Savage who weakened himself to free up IP for the super soldiers) has this for a laughable statline: MV 1, AR 0, RMC 9, MMC 8, BRV 2, HP 1. Haha. I had put a reasonable cap on IP at 400, which corresponds to $4,000 ND and 13 Traits. But I decided to actually build a Posse with those stats and see what kind of awesome weapons and equipment I could come up with. The result is The Deadly Half Dozen who had a Titan dinosaur, the full 5 members rife with Grenade Launchers, 1MW Scoped Rifles, etc. I think this Posse might expose a slight problem where Hitpoints become too low and damage outdistances what each target can absorb. I mean someone with RMC 4 and 1A-10D 27″ range rifle is going to hurt, a lot. I think in the future I’ll give two 400 IP Posses a shot and see what kind of chaos ensues. Anyways those were just a few of the extreme and different Posses I could build within the limitations of the rules. Interesting to try to take each concept to the max and see if it breaks the build process. Merry Christmas to you and yours! It’s been a great year for Dinosaur Cowboys since I got the final rules out, had tons of fan interest, wrote a bit of fiction for the game, and generally really enjoyed making this game. To add a little Christmas-y feel to your games here is “The Spirit of Christmas” posse lead by Santa himself. They have a bunch of special rules and are meant for a fun, light game. You could match them with a single posse or team up with your friends and try out two vs one. This posse bends and breaks all kinds of rules, but that’s the fun of customizing! I’ve added and re-themed a bunch of weapons and equipment and fit in a whole slew of Santa’s “reindeer” (Thickskull’s in this case). Think of it as a chance to fight multiple dinosaurs at once! For matching this posse with standard posses use 200 IP, $2,200, and 6 Traits. If you want to make the fight easier use $2,500 and 8 Traits. * = Santa never needs to take Bravery Tests. ** = Santa’s Suit is equivalent to Dinohide Armor (+3 AR), and also reduces incoming damage by 1 (to a minimum of 1). 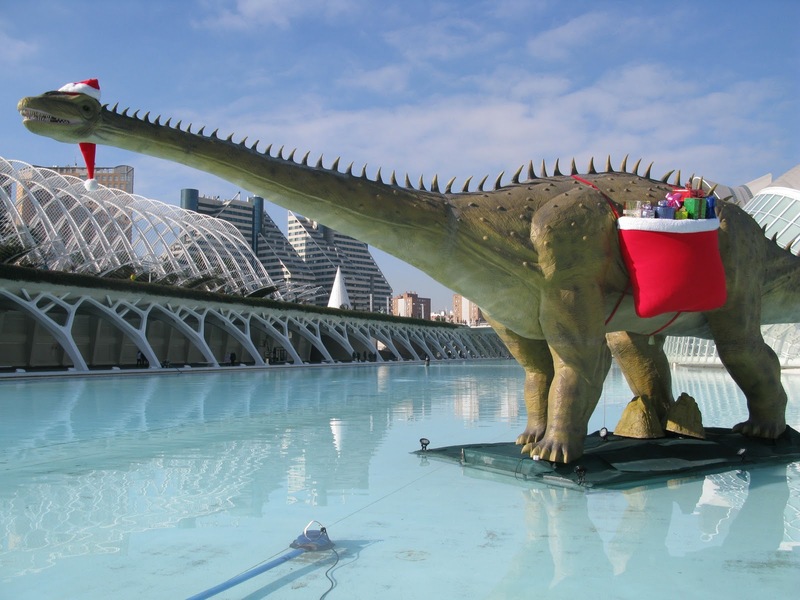 *** = Santa’s Bag is full of surprises. At the start of each Activation roll a D6 and check below to see what Santa grabbed from his bag. On the Activation it was drawn Santa can choose to use each Grenade, if he does they are treated per the standard rules. Santa’s Bag never has to be Reloaded. * = Elf likes to hop around with his jingly shoes. Elf ignores all Difficult Terrain, treating everything as flat plains with no Movement penalty. Elf cannot be Slowed or Stopped. ** = Elf can deploy anywhere on the board after everyone else has setup. The only restriction is he cannot start within 8″ of an enemy. *** = Candy Cane is a 5A-3D Small Melee weapon that causes Slowed on hit. * = Rudolph’s glowing red horn blinds enemies trying to shoot at him. Treat ranged attacks against Rudolph as In Cover (-1 damage) all the time. 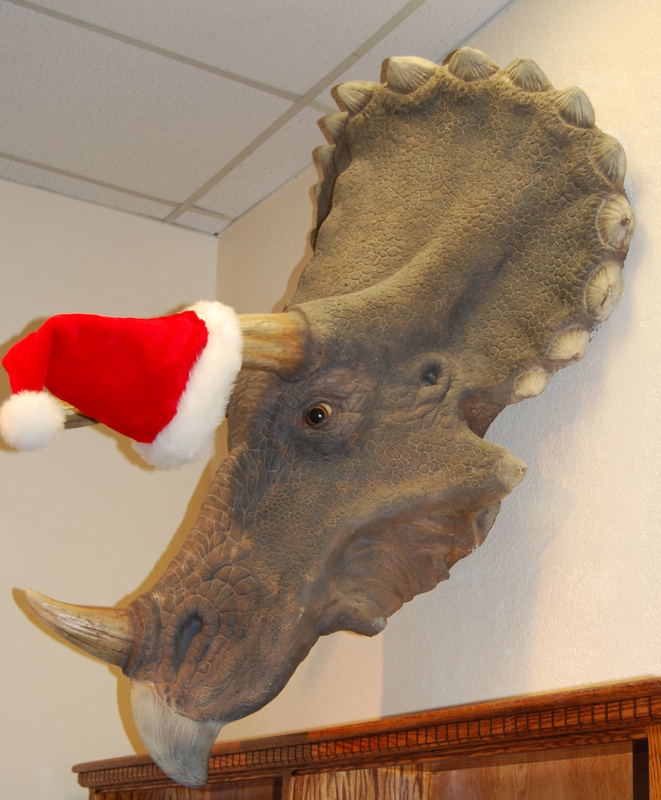 * = If Dasher or Dancer are within 8″ of Santa they gain +1 MV and +1 AR. A special posse deserves a special scenario. 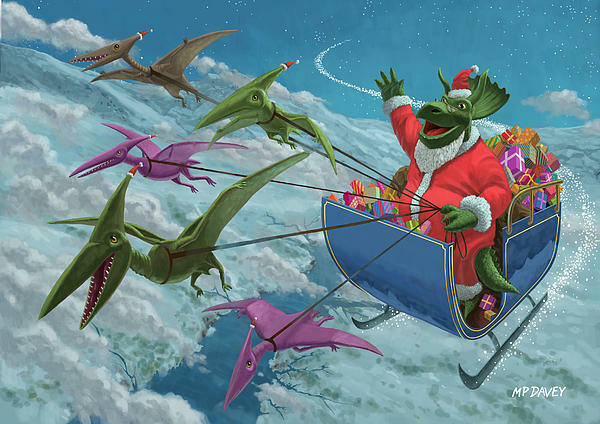 In this case a gang of citizens have stumbled across Santa as he delivers gifts. For any number of reasons a fight breaks out (perhaps the citizens were greedy and wanted to take the presents, or Santa wanted to remain secret, or his mounts got spooked and confusion ensued, etc.). If you have access to winter terrain all the better. Otherwise maybe buy some cheap fake snow from a craft’s store and shower your usual table with it. Some small (1cm wide) fake presents would be perfect for some of the objectives. – Use a 4′ by 4′ table if possible. Cover it with terrain, including any tacky Christmas ornaments, model houses, snow, etc. you can dig up. – Place Presents as outlined below. These were dropped by Santa accidentally. – Deploy The Spirit of Christmas posse first, 8″ from any table corner (not edge). – Deploy any opposing posses next, 8″ from the table corner opposite The Spirit of Christmas. – Get one Present objective per entity facing The Spirit of Christmas posse. 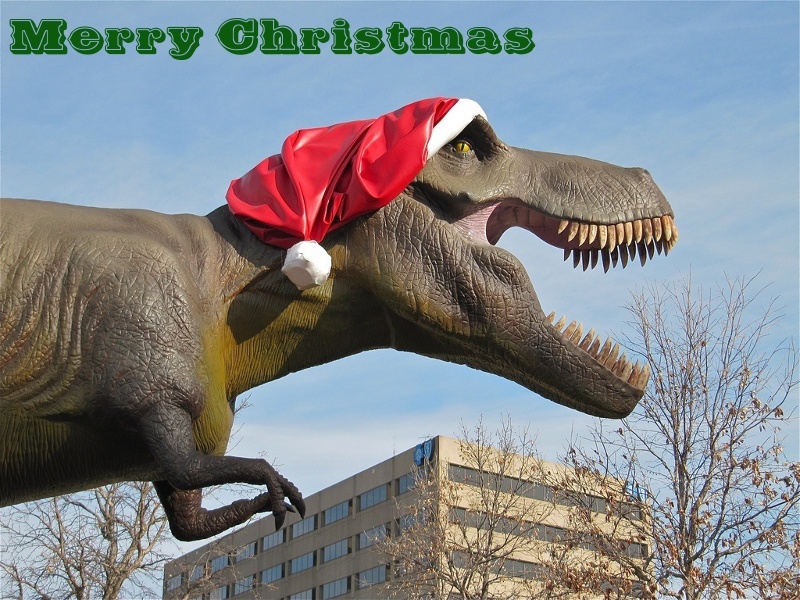 For example if I had a leader, two members, and a dinosaur I would have 4 Presents. Randomly place the Presents on the table, most easily achieved by rolling 4D12 for X and Y coordinates (for example if 18 and 4 is rolled place the Present 18″ from the left table edge and 4″ from the top table edge). 1: Surprise! - The Present explodes! 2" Explosion, 1 Damage. 2: Eggnog - The opener stumbles 6" in a random direction. This does not provoke Snap Attacks and can't move them off the table. 3: Candy Cane - Can be thrown once. 2A-8D, 2" Explosion, 1-18" Medium range. 4: Been a Good Boy - Instantly improve a weapon of the opener's choice by +1D. 5: Gingerbread - Can be used like an IRP. Add +5 MV and -2 RMC and -2 MMC until the end of the Activation it was used on. 6: Warm Cider - Can be used like an IRP. Instantly restores ALL Hitpoints. Win by defeating The Spirit of Christmas!